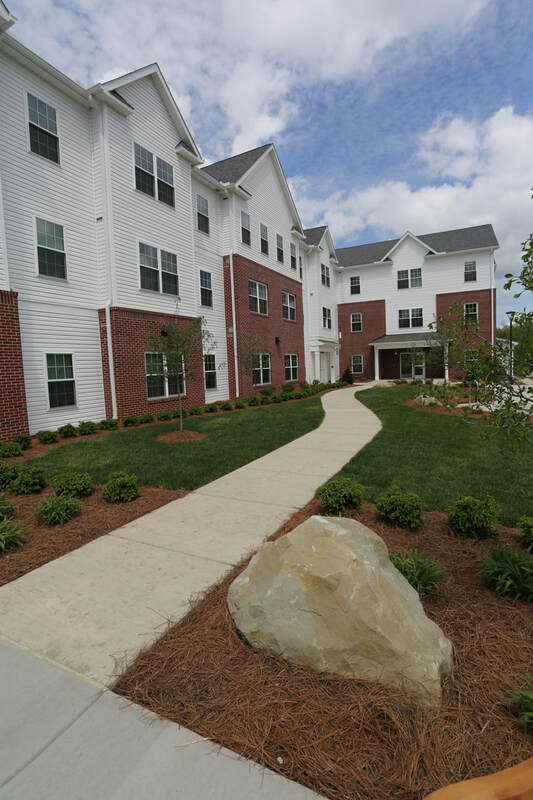 Evans Square is a 40 unit affordable senior housing community located in Conneaut Lake, PA. Evans Square is named after the town that was founded in 1799 as Evansburg, after a local farmer Abner Evans. In 1892 Evansburg was changed to Conneaut Lake and has since become a tranquil lake town that lifetime Conneaut Lake residents and summertime visitors call home. 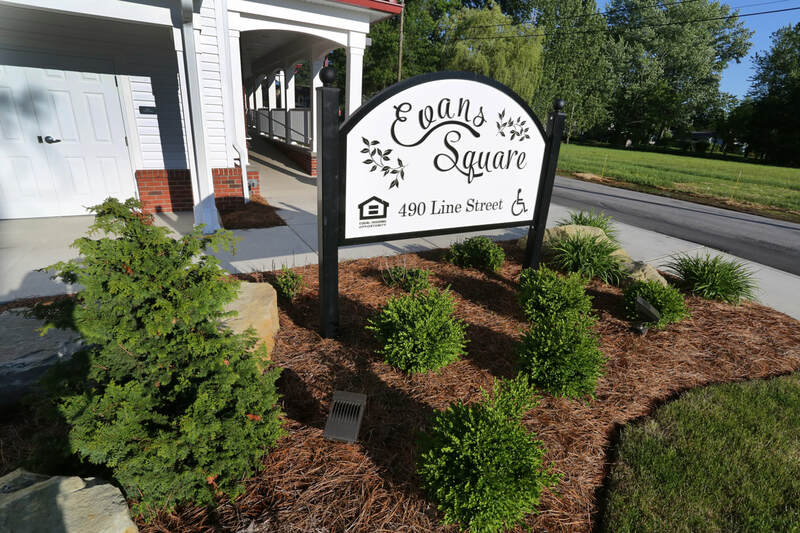 The design of Evans Square encapsulates the local lake town aesthetic through its wrap around porches, flowing stone fountain, and pastel interiors. 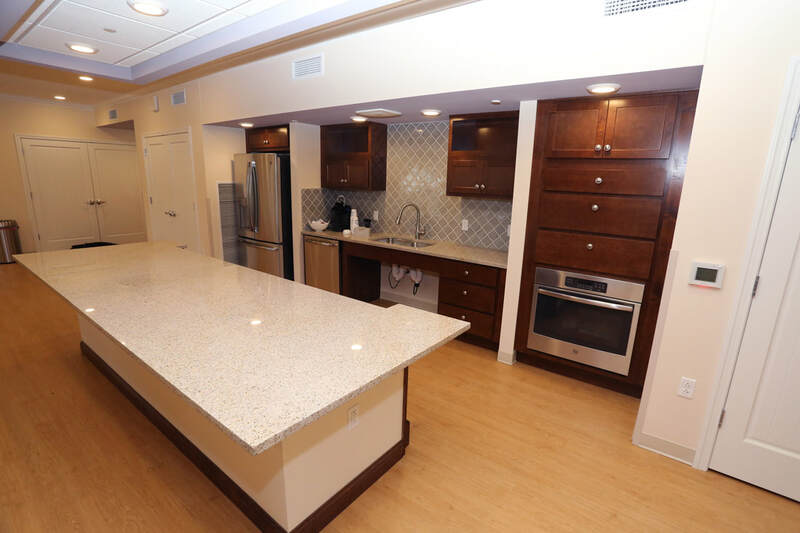 First floor common area amenities include a gracious community room with a kitchen connected to a fireside lounge, and management and supportive services offices. The second floor common areas consist of a fitness center and laundry room. 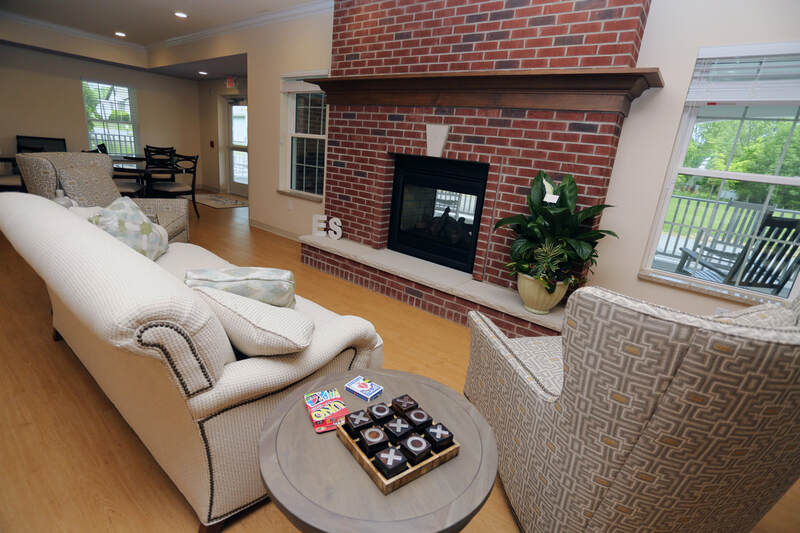 On the third floor, Hudson Companies' signature Innovation Center with Smart Classroom technology has been designed to enhance the learning opportunities for community residents. The outside amenities include a large wraparound porch with an exterior fireplace for gathering on chilly evenings. Rainwater harvesting systems will be integrated at the southeast corner of the building to provide rainwater to the resident's community garden and a large gardening shed and tool storage has been incorporated at the end of the building adjacent to the garden. Evans Square provides an Organic ELF solar and pedal-powered hybrid three wheeled bicycle, for use by the tenants and additional standard bicycles with helmets. 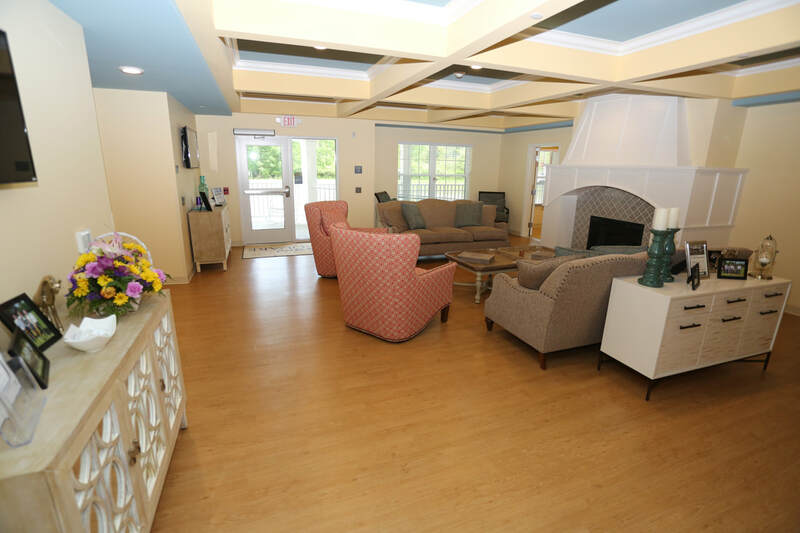 Evans Square is professionally managed by NDC Real Estate Management, LLC.